In this article we will discuss the many different types of abrasives we use when refinishing furniture. Sandpaper, scotch brite pads, steel wool, various grits and numbers, backing material, bonding agents, etc. Sandpaper works a lot like a saw, chisel, or any other cutting tool in your shop. The particles on sandpaper are made up from a number of sharp edges that cut the wood the same way a saw blade does. Not all sandpaper is created equally. There are vast differences and choosing the correct one will save you time, money and produce better results! Sandpaper works a lot like a saw, chisel, or any other cutting tool in your shop. The particles on sandpaper are made up from a number of sharp edges that cut the wood the same way a saw blade does. The only real difference is that sandpaper, unlike your saw, can't be sharpened. Not exactly. There are two different grades of sandpaper on the market; Commercial and Industrial. The commercial grade is commonly available at hardware stores and home project centers. The industrial grade is usually available only through industrial supply stores. It's made from higher quality materials and is designed to be used in the rigors of the production line. Not exactly. There are two different grades of sandpaper on the market; Commercial and Industrial. The commercial grade is commonly available at hardware stores and home project centers. The industrial grade is usually available only through industrial supply stores. It's made from higher quality materials and is designed to be used in the rigors of the production line. When talking about sandpaper "grit" is a reference to the number of abrasive particles per inch of sandpaper. The lower the grit the rougher the sandpaper and conversely, the higher the grit number the smoother the sandpaper. This make sense if you imagine how small the particles on an 800-grit sandpaper would need to be to fit into a 1" square. Sandpaper is referred to by the size of its grit (i.e. 150-grit sandpaper). The following table is a general guide to the proper uses, although this may vary from wood species to species. So what's the difference between Commercial and Industrial grades? 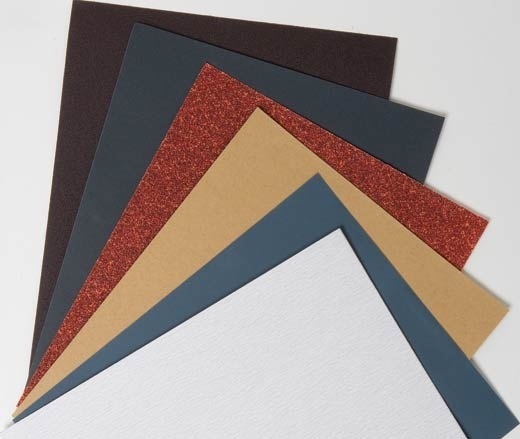 There are three main components to sandpaper; the abrasive grit, the backing material, and the bonding agents. Industrial grade sandpaper uses higher quality components as well as tighter manufacturing tolerances. Abrasive Grit Industrial grade sandpapers use abrasive grit material that is stronger and less likely to break down or wear out. Higher quality grits are often very finely graded to ensure consistency. Backing Material Commercial grade sandpapers tend to use craft paper or low-grade fabric as a backing material. 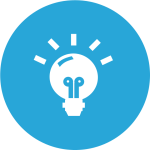 Higher grades of backing material are often made from fine cottons or polyesters. Bonding Agent The bonding agent is the glue that attaches the abrasive to the paper's backing. Lower grades of sandpaper are often made from hide glue, which doesn't hold up well with heat or moisture. Higher-grade bonding agents such as phenolic resin are used for industrial grade sandpapers. I've heard woodworkers talk about "Going through the grits". What does this mean? "Going through the grits" is not a reference to eating breakfast in Georgia! It refers to the process of sanding a work piece where a woodworker uses progressively finer pieces of sandpaper to get a smooth finish. By going through the grits each progressive piece of sandpaper removes the scratches from the previous piece. Skipping grits to save time is not necessarily a good idea. You will often end up sanding longer just to remove the scratches left by the previous grit. This is more important with harder woods like maple than it is with softer woods like pine. When Can I stop Sanding? In most cases you can stop sanding at 150 or 180-grit. If you plan to use a water-based stain it's best to sand up to a 200-grit sandpaper. This is because water based stains can tend to pickup and magnify a scratch. It can also be a waste of time to sand with very fine sandpaper. Sanding maple with 400-grit sandpaper, for example, will tend to seal off the grain and prevent finishes from penetrating. What's the difference between "Open-coat" and "Closed-coat" sandpaper? Open-coat sandpaper has gaps and open spaces between the grits that helps prevent clogging by giving the sawdust a place to go. Open-coat is most often used for woodworking. The spaces in the sandpaper can cover 40-60% of the sandpaper's surface. Closed-coat is better for sanding metal and wood finishes but clogs easily with sawdust. Steel wool begins life as a 3,000-lb. roll of 1/8-in.-dia. steel wire. This wire is drawn across serrated knives that scrape off tiny wire shavings from the larger wire. These shavings are carded into an irregular, interlocked steel-wool mat, which is formed into rolls or pads and cut to final shape. The larger the diameter of the shavings, the coarser the texture of the steel wool. Steel wool is graded in a numerical "aught" (a bastardization of the word naught or zero) scale, the coarsest being graded 4 and the finest graded 0000 (pronounced four aught). Mostly, I use two grades of steel wool, 0000 and 3. I use 0000 to rub finishes, apply wax and clean hardware. I use 3 sometimes when stripping finishes. There are times that I'll use 000 also, when I want a duller finish while rubbing out. About 20 years ago, the Scotch-Brite dishwashing pad was introduced by the 3M Co. Made from a non woven plastic, the pad has real sandpaper-type grit (aluminum oxide or silicon carbide) impregnated throughout its 1/8-in. thickness. Unlike steel wool, the grade of the pad is determined by the coarseness of the grit, not by the thickness of the individual plastic strands. It quickly became obvious that this material had some real advantages over steel wool. The tough synthetic pad doesn't tear apart or shred little bits of metal wire, making it ideal for sanding between coats of finish and, in particular, on items such as chairs and table legs, where broken bits of steel wool collect. Like sandpaper, the pad does shed some abrasive particles, but a gentle blast of compressed air or a swipe with a tack cloth removes them.